Six inmates helped save an officer who passed out during a work detail by calling 9-1-1. Six inmates are being praised after they helped save a deputy who passed out during a work detail by calling 911. On Monday, June 12, a deputy who was working security for the Polk County Sheriff's Office work detail passed out. That morning the humidity was at 100% and it was 76 degrees outside. The officer, who asked not to be identified, collapsed. Six of the inmates who were there jumped into action. They opened his shirt and removed the officer's bulletproof vest so that they could perform CPR. One inmate grabbed the officer's phone and dialed 911. One of the inmates said the deputy was unconscious for a minute and wasn't really breathing. "When he started breathing, it was just real heavy and real fast," said Greg Williams. 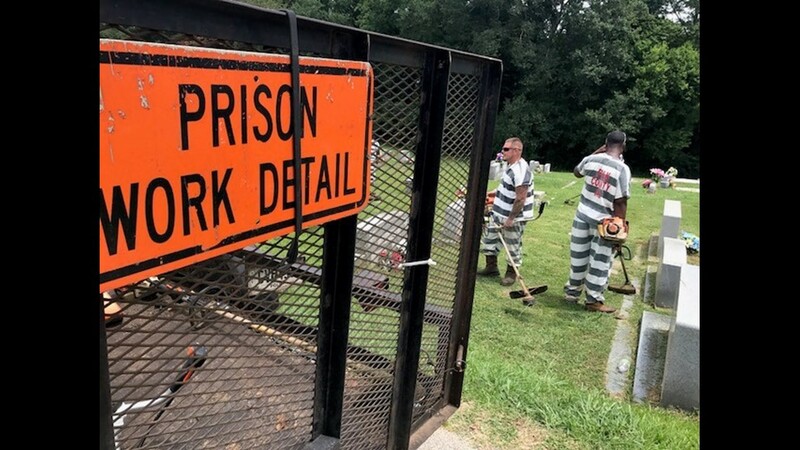 EMS eventually arrived to the scene and provided assistance, but the Polk County Sheriff's Office is applauding the inmates' quick actions. "They really stepped up in a time of crisis and show that they care about my officers," Polk County Sheriff Johnny Moats said. "That really speaks a lot about my officers too, how they treat these inmates. They treat them like people. Like family." The officer's family members provided a free lunch with desserts to the inmates who helped save the officer's life as a show of appreciation for doing the right thing. The Polk Co. Sheriff's Office shared a Facebook post praising the inmates for their heroic actions and also shared pictures of their well-deserved free lunch. But for Williams, he said the group just did what they thought they needed to do. "When that happened, in my opinion, it wasn't about who is in jail and who wasn't," Williams said. "It was about a man going down and we had to help him."